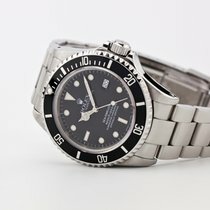 Buying a watch on the internet can be scary. We know. You want an established business, accurate presentation of product, followed up by quick responses and expedited shipping. We understand. That is why we deliver this along with honest, straight-forward transactions backed by our well built reputation. We are a private luxury watch dealer. All photography is original. All of our inventory is sourced with a complete kit, including manufacturer warranty and is 100% authentic. 6.625% state sales tax applies to New Jersey ship to addresses. In Stock - available to ship today. 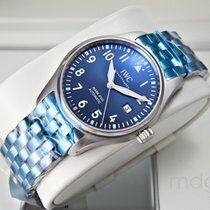 We do not use "Stock Photos" - we photograph each watch in-house. What you see in the listing is exactly what you will receive. This watch comes full kit, including all boxes, papers, booklets and manufacture warranty card. 6.625% state sales tax applies to New Jersey ship to addresses. We ship fully insured UPS or Fedex - Signature Required. International orders are subject to local import custom taxes.